For most of us, it’s pretty hard to find a suitable home design and this is the basic reason why we leave a ceiling empty without any design. We prefer to take care for pieces of furniture added in home space and we forget about walls decor and ceiling design. 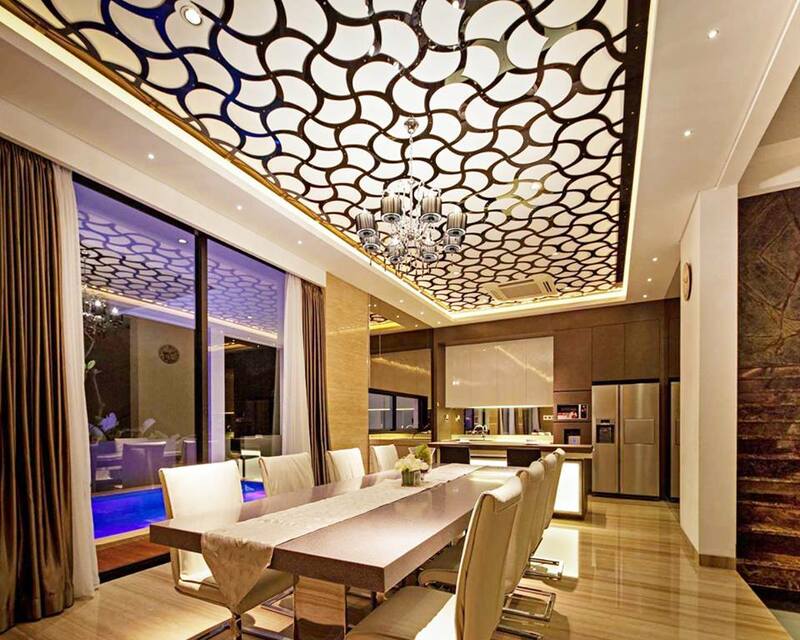 Our team have found amazing ceiling design and we decided to share it with you because using these designs will give another dimension to your home. come one, scroll down and take a glance in the photos! 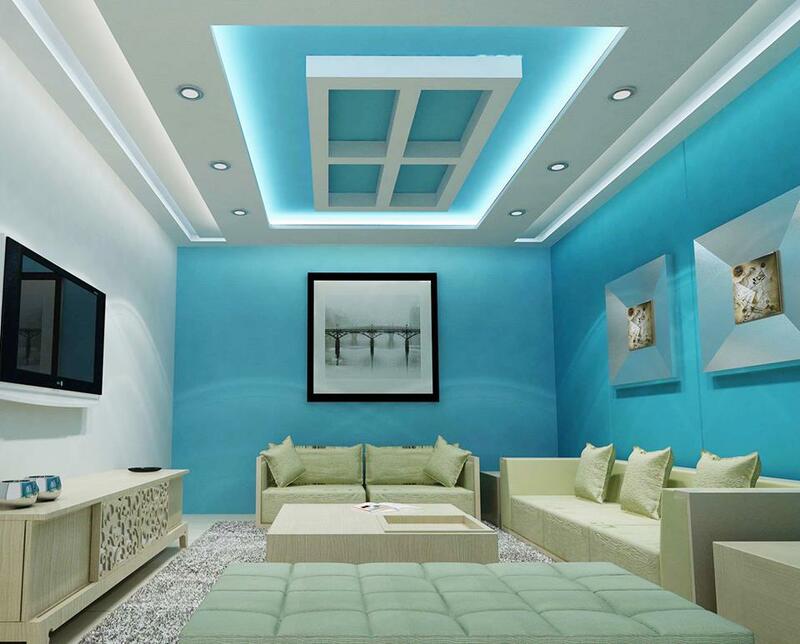 Many people choose to add gypsum board on the ceiling and with this to create modern room. Well, this is an amazing idea and you can have a look at the following photo which contains that kind of design. You can see an amazing combination of white and blue colour that create atmosphere worth for copying in own home. 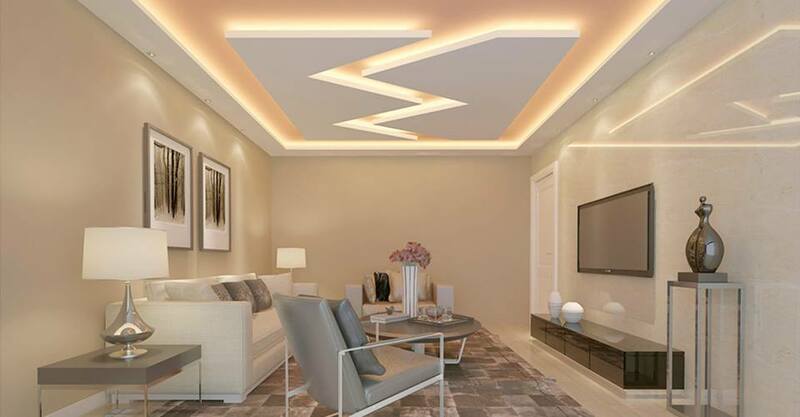 Gypsum board is material used for decorating the house walls, its easy for making different shapes and forms and also goes perfectly in a combination of hidden lights, led lighting and simple lighting. 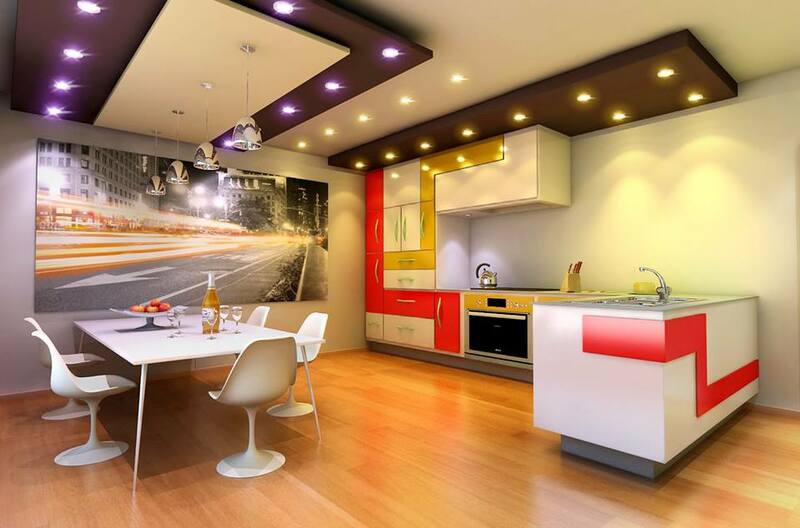 Find inspiration in this photo when we have a kitchen ceiling design. 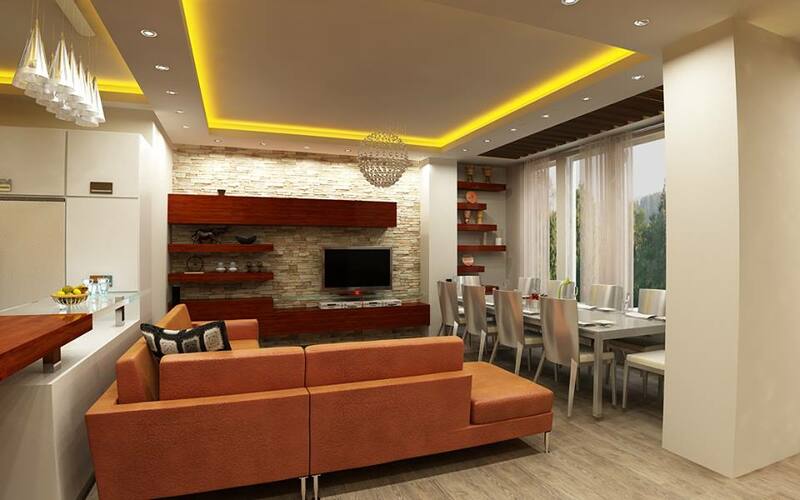 Choose yellow light for the open-plan living room, dining room and kitchen. This is an incredible idea that you might want to copy for your home place. Share the idea with friends and go through the following photos to see more interesting ideas, thanks. If you thought that nowadays no one adds chandelier at home but just uses LEd probably you haven’t seen this adorable idea. On the net, there is a lot of choice about hanging chandeliers that gives a spectacular touch to your home place. Your dining room ceiling design can keep the view of your guests coming to your house on dinner! 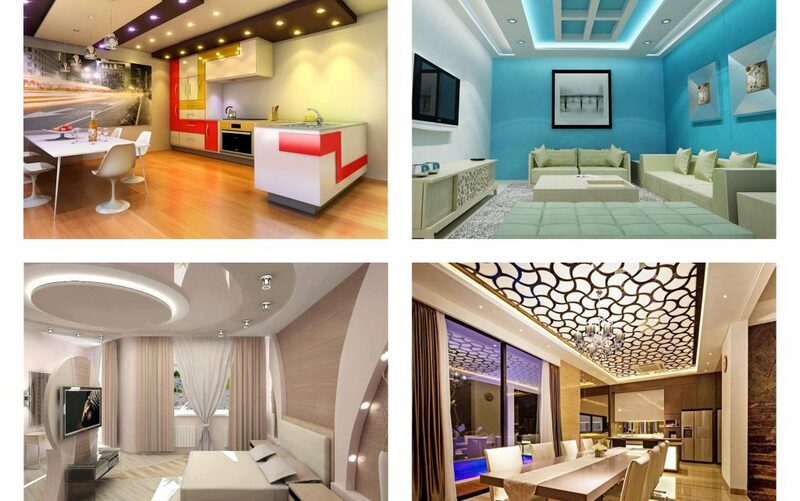 Separate the ceiling and create different shapes with adding gypsum board and also adding lights. Bring the light in the living room and with all this make a new dimension to your home. Create a place where you will be spending most time f your life. 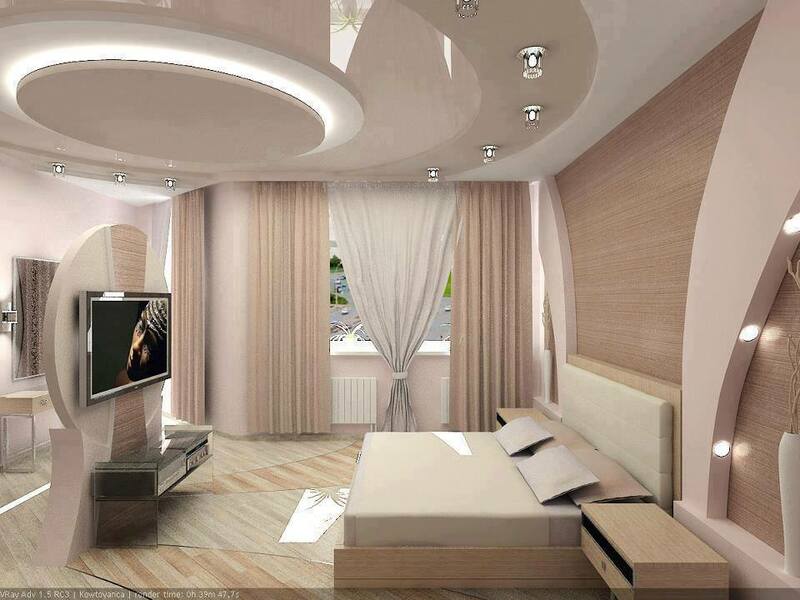 Those who are lucky have a bedroom with a TV unit and modern gypsum board combined with lights as is shown in this photo. Your bedroom can have the same design if you just decide to copy the style. Follow this link where you will find glamorous TV wall units for your living room or bedroom place. Inspire yourself! 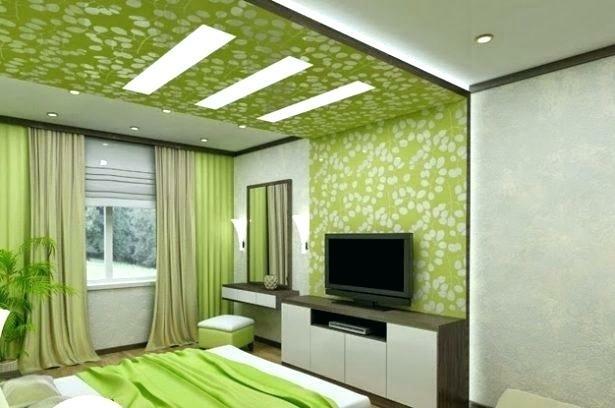 Your bedroom deserves to have one spectacular design which contains gypsum board and lighting. Take a short glimpse in this photo and copy the style for your bedroom walls, of course, if you like the idea. If not go back and see the previous images again and choose one suitable style! Thanks for your attention and keep following our posts in future!